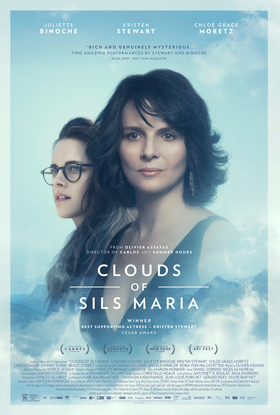 I especially couldn’t stop watching Binoche. Not only because her performances are always a master class in acting but it was so refreshing to see a female movie star past ingénue age looking so comfortable baring her body on the big screen. That’s not a sight one gets to witness often, especially in American cinema. Binoche didn’t look like she’d toned up at the gym first before letting us see her naked in all her 51-year-old softness.I doubt she was any less beautiful or sensual than if she’d been all muscle. There is a much needed healing of an old wound that happens when I see images of women that are more expansive than the limited ideas of beauty that I grew up with and surround me still—just like it feels like a balm for me when I see people of color playing significant parts on the big screen or as lead characters in literature. But it wasn’t just how Binoche looked. As I said, she would have been just as beautiful if she’d been all sculpted too. It was more that I felt coming from her body a sense of pleasure and shamelessness in fully inhabiting her own skin… much the way she fully embodies the parts she plays. Lately, I can’t help but think that their responses were not necessarily because of how I looked but more because those were the times when I’d give myself permission to enjoy being in my body. The way I would carry myself, walk into a room, and interact with people changed, reflecting my own pleasure. Several years ago a friend of mine and I talked about starting a belly revolution. We were going to set up a website calling on women, including ourselves, to love the female belly in all its shapes and forms—round, lean, sculpted, stretch marked…. For me, my challenge has always been learning to love my stomach in its natural round shape and not just when its muscles are toned. (The latter has happened once for six months in 44 years.) Yet the next day, while browsing through a bookstore, I bought a book on how to lose tummy fat. Yet ultimately, liberating ourselves from culture’s limiting standards is an inside job. I can find inspiration, courage even in others’ examples. But what I do with my body and how I choose to feel in it, show up in it out in the world, is up to me. I grew up on fairy tales. For years I believed that I too could instantly know a guy was “the one” without getting to know him first and hoped that someone might sweep in one day and—just like that, Bibbidi-Bobbidi-Boo—my life would become what I needed it to be. Since then, I’ve (thankfully) woken up to the reality that no one—man, woman, or fairy anyone—is coming to save me. I’m the one who’s always had the power. So when I went with a friend to see the movie Cinderella, I was absolutely expecting to hate this live version of the classic animated film. High heel glass slippers that are bad for your feet, finding true love based off several hours of eye gazing, magic-wand type solutions to hard problems, and the heroine staying stuck in a bad situation rather than taking empowered action. What could there possibly be to like? Well, I just loved the film. 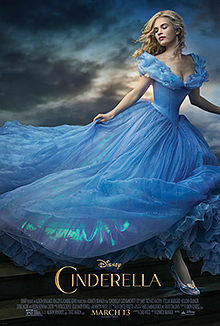 I was just as enchanted by the story as I was when I saw it the first time as a girl. The special effects, including Cinderella’s worn and torn dress transforming into an exquisite ball gown as she turns around and round, made it seem as if the cartoon had come to life. It didn’t hurt that the actor playing the Prince was so easy on the eyes or that he seemed like a very good man. Does this make me a bad feminist because I loved it? The thought, for a moment, crossed my mind. A few years back, I would have said yes and been wracked with guilt. In her Bad Feminist manifesto, author Roxane Gay writes about how you can be a feminist and still be into things that may not exactly fall under the supposed umbrella of “feminist-like.” She gives many examples, including her desire to be both independent and taken care of or how she still enjoys rap music even though some of the lyrics are degrading to women. Still, as she points out, none of these personal preferences make her any less committed to the issues that are integral to the feminist cause. Like Gay and other feminists, I believe that men and women are equal and should be treated as such. But that doesn’t mean there still isn’t room for me to appreciate when my boyfriend takes charge in certain situations, opt to sometimes keep my mouth shut rather than speak out, or enjoy the results that come from working out several times a week while knowing that my worth has nothing to do with the size of my waist. None of these have any bearing upon my 100% dedication to calling out misogyny when I see it and supporting other women in owning their power and loving their bodies. But when I first began coming out as a feminist I worried that some of my preferences might. Shouldn’t I, as a feminist, get offended when a date opens the door for me or refuse when he offers to pay for dinner? Shouldn’t I, as a feminist, stop watching movies like Love, Actually, with its unflattering portrayal of women? (For more on that read here.) Would a “real” feminist enjoy wearing tank tops that show off her cleavage? (The answer to that is yes). Being a feminist began to feel restrictive and limiting—the opposite of liberating. And for a while, I went back into my “I’m not a Feminist” closet because I didn’t feel like I could hold on to the many contradictions that make up me and be a good feminist too. In her manifesto, Gay also writes, “I bought into grossly inaccurate myths about who feminists are—militant, perfect in their politics and person, man-hating and humorless.” And like her, “I don’t want to buy into these myths anymore.” I have a feeling some of the myths were made up by those seeking to shut the movement down via negative spin tactics. It wasn’t until I realized that I had been trying (and failing) to fulfill some ridiculous stereotype rather than being myself—a person who happens to believe in equality for all—that I finally became comfortable not just owning that I was a feminist but embodying that in ways that are specific to me. Just as being myself doesn’t take anything away from feminism, being a feminist takes nothing away from me. If anything, feminism has given me more choices that allow me to be who I am in my personal life and out in the world. Then again, at the end of the day, a love story that involves two people, excited to have found each other, and brave enough to make a go at creating a happy life together—what’s anti-feminist about that? Besides, I’ve always been a sucker for a happy ending.